Too high-spirited for the religious life, Maria is dispatched to serve as governess for the seven children of a widowed naval Captain von Trapp. She gradually captures the heart of the stern Captain, however upon returning from their honeymoon they discover that Austria has been invaded by the Nazis. The family's narrowly escapes to Switzerland providing one of the most inspirational finales ever presented in musical theatre. MEREDITH BROWNING (Maria) is thrilled to be re-creating her role from her very first Plaza show! You may remember her from other performances here at Plaza such as Marian in MUSIC MAN, Marguerite in SCARLET PIMPERNEL, and Baker’s Wife in INTO THE WOODS. Other recent roles include Martha Jefferson in 1776, Guenevere in CAMELOT, and Mabel in PIRATES OF PENZANCE. Meredith has degrees in vocal performance from Abilene Christian University and Boston University, and she has performed several operatic roles professionally in venues including Fort Worth Opera, Opera East Texas, and Living Opera. Some favorite roles include Yum Yum in THE MIKADO, Adina in ELIXIR OF LOVE, Fiordiligi in COSI FAN TUTTE, and Donna Anna in DON GIOVANNI. Look for Meredith this spring as she performs in Fort Worth Opera’s new “Frontiers” festival, a series of previews of new opera compositions. As always, she sends lots of love to her wonderful husband Tyson, daughter Rachel (break a leg, Louisa! ), and son Simon. JACESON P. BARRUS (Captain) JaceSon is pleased to have the opportunity to be directed by his parents Jodie and Soni, and to play opposite the fabulous Meredith Browning.Past favorite roles include Harold Hill in THE MUSIC MAN, Will Rogers in WILL ROGERS FOLLIES and Pap Finn in BIG RIVER. He has also been the recipient of multiple Column Awards for his work on AIDA, CASH ON DELIVERY and A CHRISTMAS CAROL. Of course, JaceSon's favorite roles are as son, brother, husband and father in real life and thanks his family for their love and support. KATY NICHOLAS (Liesl) Katie is thrilled to return to Plaza after debuting here last year as Hodel in FIDDLER ON THE ROOF. Some of her other theater credits include Jemima in CATS, Alice in THOROUGHLY MODERN MILLIE, Kate in ANNIE, Louisa in THE SOUND OF MUSIC, and Pauline in WEST SIDE STORY at Cedar Valley College, Chorus/Dancer in 42ND STREET and THE MUSIC MAN at Garland Summer Musicals, Chava in FIDDLER ON THE ROOF at Waxahachie Community Theatre, and Ensemble in GODSPELL at Ennis Public Theatre. Katie is also a member of Lyric Stage's Youth Performance Troupe. Katie is a homeschool senior who plans to go to school and major in International Affairs. "Thanks to my family and all my friends." Giving God the glory. TABITHA BARRUS (Liesl) Tabitha is very excited to be reprising the role of Liesl after playing it 5 years ago in PTC's 2009 production of The Sound of Music. Tabi is a freshman music major at Hill College in Hillsboro who enjoys reading, teaching dance and theatre, and being onstage! You may recognize Tabi from roles such as Belle in A CHRISTMAS CAROL, Ariel in FOOTLOOSE, or Cordy in THE HAPPIEST MILLIONAIRE. She adds The Sound Of Music to her choreography resume alongside shows like FOOTLOOSE, FIDDLER ON THE ROOF, and JOSEPH...DREAMCOAT. She sends love to her incredible family and friends, and is thrilled as always to share the stage with her family members. Thanks to G&G Barrus for trusting her with this role. Love to dad, mum, P, C, E, M, and J, and love to all of her awesome Plaza Academy students. "So proud of you David, Eden, Emma, Rylee, Paige, and Mimi. You guys shine as always." MARISA POPE (Louisa) MARISA POPE (Louisa) is thrilled be back on the Plaza stage. Her favorite role at PTC has been the Young Sour Kangaroo in SEUSSICAL. You may also have seen her as Mary Rogers in WILL ROGERS FOLLIES and Lillian Gilbreth in CHEAPER BY THE DOZEN. She keeps busy playing basketball and volleyball, and competing in cross country and triathlons. She enjoys baking, photography and hanging out with her black lab. DAVID MIDKIFF (Kurt) Just like Kurt, David is "11...almost". He is happy to be playing this part, especially since he will be celebrating his 11th birthday with his Plaza family on the closing day of SOUND OF MUSIC. David fills his days taking classes at CLPS, TAFA, Plaza Academy, Casa Mañana, and Texas Jr. Theater. A few previous rolls have been Chip in BEAUTY AND THE BEAST at Carnegie Players, Billy in THE PROMISE in Glenrose, and Tiny Tim in CHRISTMAS CAROL at Plaza. Being The Little Boy in RAGTIME at Plaza has been David's favorite role so far. MUSIC MAN at Plaza holds special memories for David because he got to share the role of Winthrop with his brother Caleb. He would like to thank Mr. and Mrs. Barrus for choosing him to be a member of the von Trapp family. Woohoo! More sisters than brothers! "Thanks, Dad, for finally joining us on the stage!" HARRISON CAWOOD (Kurt) Harrison is making his Plaza Co. debut in SOUND OF MUSIC and is thrilled to be sharing the stage with his big brother and best friend, Hayden. Some of Harrison's favorite acting credits include: LeFou in BEAUTY AND THE BEAST, JR. and Fagin's gang in OLIVER. Harrison studies acting, art, choir, and trumpet at Travis Academy of Fine Arts. He would like to thank his parents and his brothers for their love and encouragement. He would also like to thank the Barrus' for the opportunity to be part this great show. Above all, he would like to thank God for all the talents and abilities He has given him. Psalm 100. Enjoy the show! EDEN BARRUS (Brigitta) You may remember Eden as Little Girl in RAGTIME and has also just completed a successful run as Mary Lennox in THE SECRET GARDEN at Granbury Theatre Company. She also loved playing Tiny Tim in A CHRISTMAS CAROL and a Who in SEUSSICAL THE MUSICAL both at PlazaCo. Eden is an energetic 10 year old dynamo who loves to dance, sing and draw. EMMA WHITEHORN (Brigitta) Emma is delighted to be apart of one her most favorite shows THE SOUND OF MUSIC. You may also remember Emma from her recent role as Little Fan & Belinda Cratchit in A CHRISTMAS CAROL at PlazaCo. Emma is a 10 year old, homeschooler from Cleburne. She loves musical theater, singing, dancing and reading. "Thank you mom and dad for driving me to rehearsals. Thanks to Soni and Jodie for this great opportunity and Tabitha for all your encouragement! Most of all I thank God for the gift of acting!!" KYLIE SCARBOROUGH (Marta) Kylie is thrilled to take the stage in Sound of Music and get to once again share the stage with her dad. On the Plaza stage she has been seen in FIDDLER ON THE ROOF and ANNIE. She enjoys reading, dancing, bike riding and trying to keep up with her 7 older siblings. Thank you dad for driving me to rehearsal every night and thank you Soni and Jodi for giving me this amazing opportunity. I hope you enjoy the show. 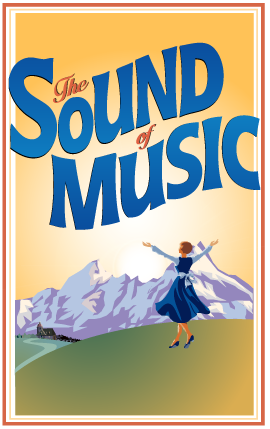 RYLEE MULLEN (Marta) Rylee is so excited to have been chosen to participate in this production of SOUND OF MUSIC. This is her first big show! She is a Fifth Grader at Marti Elementary. Rylee enjoys Singing, Reading, and playing with her little sister. Rylee has been taking voice lessons in Keene for 3 years and truly loves to share her love of singing with others. She has learned a great deal from the Advanced Showstoppers classes that she takes at Plaza Academy. She has been in SAFETY KIDS and SCHOOLHOUSE ROCK LITE at Plaza Theater. She also played Molly in DEAR SANTA at Plaza Theater. Rylee would like to thank her parents and grandparents for the rides to practice and their support during this exciting time. I love you, Mom, Dad, Delanee, Grandma, and Papa! MIMI BARRUS (Gretl) You may remember Mimi Barrus recently as Little Girl in RAGTIME or as Tiny Tim in A CHRISTMAS CAROL, but her favorite recent accomplishment has been the losing of her front tooth (and the subsequent visit from the tooth fairy). Just ask her, she'll tell you all about it. Among her favorite past roles, Mimi loved playing Molly in ANNIE here at PlazaCo. She sends her love to the Barrus family posse. PAIGE MOORE (Gretl) Paige is pleased to be in her sixth show with the Plaza Theater Company. You might have seen her in past roles such as Orphan Ruthie in ANNIE, Bielke in FIDDLER ON THE ROOF or Little Fan in THE CHRISTMAS CAROL. She is a third grader in Joshua ISD and a student in the Advance Musical Theater class at the Plaza Academy. Paige is often singing to whatever strikes her fancy at the moment normally to the great annoyance of the two best big brothers a little sister could have. The highlight of this show is being with her many friends and sharing the stage with her mother for yet another show. "Thank you Soni and Jodie for giving me another opportunity to perform and helping me to be the best I can on stage. Hugs and kisses and lots of love to my mom and dad for loving me and thanks most of all to Jesus." ROBERT TWADDELL (Rolfe) Robert is excited to be in his Plaza debut as Rolfe. He was most recently in the Greater Cleburne Carnegie Players' show "State Fair," as Pat. Special thanks to his family, and the entire Plaza company for a great show. JAY LEWIS (Max) is thrilled to be back on stage for his 20th Plaza show. He has recently been seen in A CHRISTMAS CAROL and FOOTLOOSE. Jay is extremely proud of the two critically acclaimed Plaza shows he's directed -- CRAZY FOR YOU and GUYS AND DOLLS. You may also remember him playing the role of Cinderella's Father in INTO THE WOODS and in ALL SHOOK UP as Jim Haller, Natalie's father. As well as Doolittle (Eliza's Father) in MY FAIR LADY, Maurice (Belle's father) in BEAUTY AND THE BEAST and Clem (Will's father) in WILL ROGER'S FOLLIES. Do you see a pattern? Favorite roles include Tevye, FIDDLER ON THE ROOF; Arthur, CAMELOT; Rev. Shaw, FOOTLOOSE and Ben Franklin, 1776. Kisses, a dozen roses and a standing ovation for his supporting wife, Shauna. KYLE SCARBOROUGH (Zeller) Kyle is excited to return to the Plaza stage especially since he once again gets to share the stage with one of his daughters. He was last seen here as Bundles in ANNIE. Kyle works for a defense contractor, teaches Sunday school at his church and teaches a high school worldview class. In his spare time he enjoys spending time with his wife of 30 years, reading and trying to keep up with his 8 children. BILLY MYERS (Franz) is truly excited to be back on the Plaza stage; this time with wife Carolyn and daughter Kathrynne. You may have seen Billy last year as Spike O’Malley in THE HAPPIEST MILLIONAIRE. This was an exciting year for Billy in the theater. He recently played Uncle John, the male lead in FORGOTTEN CAROLS, and before that his dream role of Tevye in FIDDLER ON THE ROOF, both at Artisan Center Theater. Some of his other favorite roles include Christmas Present in SCROOGE THE MUSICAL and Luther Billis in SOUTH PACIFIC as well as roles in ANNE OF GREEN GABLES and PHANTOM. His other acting credits include several roles in THE PROMISE in Glen Rose. Billy and Carolyn own and run a small sing company that services the DFW Metroplex. He has also served as a worship leader for many years loves to sing for all kinds of occasions. Billy’s greatest joy comes from serving the Lord by sharing his greatest passions of family, music, and theater. TO GOD BE THE GLORY! RUTH ANN WARWICK (Frau Schmidt) This is Ruth Ann's fourth show at Plaza Theatre Company. You may remember her at Shaindel (Motel's mother) in FIDDLER ON THE ROOF, RAGTIME, and in A CHRISTMAS CAROL. CHERIE ROBINSON (Berthe) Is delighted to be back on the Plaza stage and to be working with such a wonderful cast. Previous roles include Mayor Matilda Hyde in ALL SHOOK UP; Mrs. Potts in BEAUTY AND THE BEAST; Mrs. Paroo in MUSIC MAN; Reuben’s wife in JOSEPH…DREAMCOAT and A CHRISTMAS CAROL. As an “Air Force Brat” growing up in Europe, the Alps were the playground for her and her family, visiting Salzburg many, many times. Just three short months since her Daddy, Joe Adcock, unexpectedly passed away how appropriate that the first show he watches his favorite redhead in from heaven was their favorite: The Sound of Music. Daddy, this one’s for you. LISA RANDOL (Sister Margaretta) Relatively new to musical theatre scene, Lisa recently had he honor of appearing as a super in The Fort Worth Opera's production of TOSCA and THE THREE DECEMBERS and the 2012 production of THE PROMISE in Glen Rose. She is very excited to be apart of PlazaCo's production of THE SOUND OF MUSIC. Currently studying voice with Carlene Wadley of Arlington, she looks forward to the enjoyment of participating in many more musical roles. Lisa would like to thank the Lord for her vocal gift and thank her family for thier continued encouragment in her artistic endeavors. CAROLYN MYERS (Nun, Ensemble) Carolyn is thankful to be in her first performance at Plaza. She has performed in THE PROMISE, FIDDLER ON THE ROOF and FORGOTTEN CAROLS. She enjoys getting to act various shows with her family. She is joined this show with her husband, Billy Myers and her daughter, Kathrynne Myers. Carolyn enjoys being a wife, mom and homeschool teacher to her own kids and co-op classes. "I hope you too find your dream in what God has planned for you." DAWN DIYER (Nun, Ensemble) Dawn Diyer is proud to be standing on the stage once more in THE SOUND OF MUSIC at Plaza Theatre Company. After holding her singing to Plaza's high standards in A CHRISTMAS CAROL, Dawn is excited at the chance to work with directors Sonny Barrus, Jodi Barrus, and Jamie Long. When she's able to tear her eyes away from her script and stop working, Dawn enjoys playing the piano, trumpet, and singing at her church. Dawn would like to thank JTAM for this opportunity to represent Plaza Theatre Company, and is exstatic at the prospect of future shows. DEBRA MIDKIFF (Nun, Ensemble) Debra is thrilled to be in the nun chorus again. Her previous nun experience was in the Carnegie'sproduction of SOUND OF MUSIC. Even though she feels like she spends an immense amount of time at Plaza with her kids, this is actually just her fourth show to be a part of. Previous shows were MUSIC MAN, JOSEPH...DREAMCOAT, and HIGH SCHOOL MUSICAL. Other favorite roles are the Wardrobe in BEAUTY AND THE BEAST at Carnegie, and mother of Jesus at the cross in THE PROMISE in Glenrose. Debra has enjoyed sharing the stage with many of her family again. She is especially grateful for her many friendships that have grown from being a part of this talented cast. Thanks to the Cawoods for being awesome doubles. And to her husband, "I love you, and don't forget...1,2,3, 1,2,3." DONNA MOORE (Nun, Ensemble) Donna in her second show at the Plaza Company Theatre and she is pleased to be singing with such an amazing group of ladies. She is a mother to three amazing children and the wife of a man who always supports her crazy ideas and often encourages them. She is more comfortable in the audience or behind the scenes. Donna is the president of the Plaza Guild. Her first appearance on stage was in THE CHRISTMAS CAROL and now that the performing bug has infected her she is back for another grand experience. The highlight of performing in THE SOUND OF MUSIC is sharing the stage with her beautiful daughter Paige as she plays the adorable Gretl. "Soni and Jodie for allowing me the honor to perform again. Most of all thank you to my Heavenly Father. To Him be all the glory." KATHRYNNE MYERS (Nun, Ensemble) Kathrynne feels privileged to be acting at Plaza. She has been in shows such as THE PROMISE, FIDDLER ON THE ROOF, ANNE OF GREEN GABLES. She has also had to honor to run sound, paint sets and run tech during a show. She also plays piano and enjoys school. "I am thankful to God and my parents for allowing me to do this show." KENNEDY STYRON (Nun, Ensemble) Kennedy is beyond thrilled to be back on the Plaza stage! You may recognize Kennedy from many shows, but most recently A CHRISTMAS CAROL and FOOTLOOSE here at PTC. Kennedy is a Junior at Travis Academy of Fine Arts, and plans on pursuing theatre in college as well as later on in life. Performing is her life. She loves the joy it brings to people. Kennedy would like to thank God, JTAM, this amazing cast, and her loving friends and family for pushing her to always do her best and keeping her smiling! She loves what she does and why she does it, and is truly grateful for all of the blessings she has been graced with. "Auf Wiedersehen!" PRISCILLA NIX (Nun, Ensemble) (Wilkendorf) is thrilled to be in her 3rd production at PTC. She was Sister Berthe in SOUND OF MUSIC (2008) and Ms. Maude in SMOKE...MOUNTAIN HOMECOMING (2010). She grew up in Fort Worth where she played the part of recorder/shepherd in THE LITTLEST WISEMAN at Scott Theatre, was a member of the Dorothy Shaw Bell Choir and played viola in the Paschal High School orchestra. At Cumberland College in Kentucky, she played viola in SHENANDOAH and LI'L ABNER. Priscilla identifies with the message of "Music, Faith & Family" in this show because she was raised in a musical family of 9 children (not Catholic, just "passionate Baptists", to quote her mother)! She says her mother tried to create "The Wilkendorf Family Orchestra", modeled after "The Von Trapp Family Singers"! Priscilla is a former middle school teacher in Cleburne who is now volunteering with Community Hospice and Westhill Church of Christ. "I am grateful to God for the love of friends and family, especially my husband, Richard." SHERRY CLARK (Nun, Ensemble) Sherry Clark is so excited to be her third show with Plaza Theatre Company. She previously appeared as Mrs. Foster Wilson and Queen Victoria in ANNIE GET YOUR GUN and Mrs. Bixby in SEVEN BRIDES FOR SEVEN BROTHERS. She is delighted to be performing with such a wonderfully talented cast and would like to thank the directors and producers at Plaza for the opportunity to be a part of it. "Thanks to Howie, my terrific husband, for his patience and encouragement. " SUZI HANFORD (Nun, Ensemble) Is continuing her theatrical ambitions with this her ninth performance at the Plaza. Suzi has enjoyed being in FOLLIES, ANNIE GET YOUR GUN, SINGING IN THE RAIN, FIDDLER, GUYS AN DOLLS, and many others. Suzi is currently going to school for cosmetology and is planning to be licensed in the fall . She also enjoys being outside working with animals, riding four-wheelers, and just hanging out with friends. Suzi would like to thank first and foremost, God for helping her through everyday trials and for loving her endlessly, Jodie & Soni for being amazing directors and giving her the opportunity to be in the show, her family for putting up with her silliness, Barbara for dealing with her nuttiness and making her laugh when she really doesn't want to, and Micah for listening to her when shes had a bad day. "Posey the postulate? That's me!" TAMMIE PHILLIPS (Nun, Ensemble) Tammie is thrilled to be part of SOUND OF MUSIC doing what she loves the most and was created to do, which is singing praises to her Lord and Savior, Jesus Christ!!! Tammie is the mother of 4 boys, 1 precious daughter-in-love, will soon be a grandma and has another son getting married in May! She has been involved in the homeschooling for over 25 years and has loved every moment of it! She also finds great joy in serving as Plaza's property manager, also known as "Prop Momma". She loves designing and creating the props for Plaza's shows. It is her desire that God may be glorified in everything she strives to do and would like to thank Him for the gifts He has blessed her with. She would also like to thank her wonderful husband, Ron, and her boys for supporting and encouraging her daily. Finally, she would also like to thank Soni and Jodie for casting her in this production and the fantastic crew she works with at Plaza - you make coming to work such a blessing! JUDY 'GIGI' BARNETT (Fraulein Schweiger, Townsperson) JUDY “Gigi” BARNETT (Fraulein Schweiger/Townsperson) feels privileged to be a part of Plaza Theatre’s 2013 presentation of SOUND OF MUSIC . Judy enjoys all aspects of community theatre. Onstage as an actor in SMOKE ON THE MOUNTAIN, SANDERS FAMILY CHRISTMAS, SMOKE ON THE MOUNTAIN HOMECOMING, SINGING IN THE RAIN, SOUND OF MUSIC. HARVEY; or behind the scenes, as producer, asst. director, or sound tech in productions of TO KILL A MOCKINGBIRD, DRACULA, OLIVER, LION WITCH AND WARDROBE, MY FAIR LADY; and as a volunteer making popcorn in concessions. She has volunteered with Plaza Theatre Company and Carnegie Players Theatre since 2007. Judy is a native of Cleburne and a graduate of Cleburne High School many, many years ago. JULIE HEFNER (Baroness Elberfeld) Julie is so pleased to be back in performance with Plaza Theater Company in THE SOUND OF MUSIC! When her family was 'blown into Cleburne' in September of 2005 - by Hurricane Rita - she had no idea what a wonderful surprise awaited her, having never done community theater before. Her 1st performance was in THE SOUND OF MUSIC! Since that 1st show, she's been 'hooked' on live theater! This is her 6th appearance on the Plaza stage - her favorite role having been that of Aida in OVER THE RIVER AND THROUGH THE WOODS, in 2010, for which she won the coveted Kathleen Freeman Award, presented by the Board of Directors of The Column Awards. She was last seen in Carnegie Theater's productions of ANNE OF GREEN GABLES - in which she played the role of Rachel Lynde - and in STATE FAIR - in the role of Mrs. Edwin Metcalf. Julie invites you to sit back and enjoy one of the most loved musicals of all time - with its amazing production staff and her fabulous fellow thespians! JODIE BARRUS (Admiral Van Schreiber) is excited to be once again performing at Plaza. Recently he was seen as Rev. John Witherspoon in 1776 at the Granbury Theatre Company. Other roles he has played include Judge Gaffney in HARVEY, Reuben in JOSEPH....DREAMCOAT, Froggy LeSeuer in THE FOREIGNER, The Bishop of Lax in SEE HOW THEY RUN, Judge Thatcher in BIG RIVER, Samuel in THE CURIOUS SAVAGE, Linus in YOU'RE A GOOD MAN CHARLIE BROWN, Monsignor Ryan in THE UNSINKABLE MOLLY BROWN and John in THE OTHER SIDE OF LOVE. He has also stage managed over 50 productions. "I'm excited and honored to be performing with such a wonderful and talented cast......let's knock them dead with a great show". JAMIE LONG (Assistant Director, Baron Elberfeld) Back for his twelfth show at Plaza as an actor, James, however is more excited about his venture into the world of directing and feels blessed to be tutored in this new vocation by Soni and Jodie Barrus. James has appeared as Feltzig in THE DROWSY CHAPERONE, Dr William Chumly in HARVEY, Foster Wilson in ANNIE GET YOUR GUN, Colornel Pickering in MY FAIR LADY among others in several local theatres. This has been his first opportunity to work the other side of the aisle, so to speak. He reports that acting is a me proposition, whereas directiong is a You effort and it has been truly fulfilling. This is a talented cast and crew and the entire assembly process has been almost like a family experience. James looks forward to doing more and different parts in plays and possibly directing some in the future. He requests that you enjoy the show and may it touch a part of your life for years to come. CAMERON BARRUS (Townsperson, German Soldier) Cameron is happy to be performing at PlazaCo once again in a show he's always loved.. Past performances include Nelson in ANNIE GET YOUR GUN, Sling shot boy in SEVEN BRIDES FOR SEVEN BROTHER, WILL ROGERS FOLLIES As James Rogers BEAUTY AND THE BEAST as Chip, Footloose as Tag-Along-Kid, and SEUSSICAL THE MUSICAL as a Who. in his spare time Cameron likes to design lights and play with Photoshop. JAMIE DEEL (Townsperson, German Soldier) is very happy to be in his first show here at Plaza. Though new to Plaza, Jamie is not new to musical theater. You may recognize him from his performances as Joseph and Apostle John in THE PROMISE in Glen Rose, where he also serves as the Musical Director for the production. After receiving his degree in Music Education from Texas Wesleyan University he spent three seasons performing with the Fort Worth Opera Chorus. Some of his favorite roles include Dr. Blind in DIE FLEDERMAUS, the Butler in SOMETHING'S AFOOT, Angel Gabriel in THE MAJESTY OF CHRISTMAS at Six Flags Over Texas, and Jacob Poot in HANS BRINKER or THE SILVER SKATES (his very first stage production in second grade!) Jamie is an Elementary Music Teacher in the Birdville School District. He would like to thank his parents for always supporting him, his friends for always being there, and Debra for the encouragement to join in the fun of Plaza! "A special thanks goes to God for entrusting me with this talent." LEVI KING (Townsperson, German Soldier) Levi is proudly taking the stage for his fourth Plaza performance. A senior at Crowley High School, he previously appeared on stage in the summer production, FOOTLOOSE, and was recently in both RAGTIME and A CHRISTMAS CAROL. He would like to thank his mother for introducing him to the amazing community of Plaza in the first place. MARK MIDKIFF (Townsperson, German Soldier) Mark is elated to be a part of this amazing show. His previous theater experience has been audience member extraordinaire. His roles included clapping enthusiastically, laughing at all of the appropriate times, leading the crowd in a standing ovation, and giving a hearty "bravo" to the hard working actors. Two years ago he shared the stage briefly with his family in THE PROMISE OF CHRISTMAS in Glenrose. They have enjoyed getting to shareTHE SOUND OF MUSIC rehearsal process together. Mark is having so much fun that he might even consider doing another show sometime. Mark would like to thank Jamie for being a great double. Thanks to Soni and Jody for tolerating this rookie's occasional input. "Thank you, Tina, for parking my trailor out back and for designing my own personal star for the door." MICHAEL SORTER (Townsperson, German Soldier) Michael is excited to play in his fourth show at PTC. Previously he has played in FOOTLOOSE, RAGTIME, and A CHRISTMAS CAROL, all at PTC. Michael is currently a sophmore at Joshua High School where he is very active in the theatre program. Michael is very excited and grateful to do such a wonderful show with many of his friends. Enjoy the show! NICHOLAS HEFNER (Townsperson, German Soldier) Nicholas Hefner is proud to be appearing in yet another Plaza production. Previous acting experience includes such shows as Charlie in STATE FAIR and Gilbert Blythe in ANNE OF GREEN GABLES with Carnegie Players and at PlazaCo he has been in several shows including HIGH SCHOOL MUSICAL, THE MUSIC MAN, and JOSEPH...DREAMCOAT. He is very happy to embrace the stage once again and wishes to express his thanks to the show's directors, Sonni and Jodie, for allowing him this opportunity and to the rest of the cast for their encouragement. TINA BARRUS (Elsa, Costumer) Tina is often seen backstage at Plaza busily sewing costumes but she also loves getting on stage - so she's thrilled at the chance to play with this wonderful cast. Some of her past favorite roles include Adelaide in GUYS AND DOLLS, Emily in OUR TOWN, Fairy Mae in THE CURIOUS SAVAGE and Florence in THE MAN WITH THE POINTED TOES for which she received the 2011 Column Award for Best Actress in a Play (non-Equity). She is also the happy wife of JaceSon and the proud mother of 6 fantastic children who make every day a delight. EMILY WARWICK (Stage Manager) Emily is ecstatic be a part of her tenth show here at Plaza. You might have recently seen her in A Christmas Carol as Mrs. Cratchit, Ragtime, up in the booth during Arsenic and Old Lace, as Miss Sarah Brown in Guys and Dolls or in Footloose, Drowsy Chaperone, Fiddler, Annie or Treasure Island. She loves to be able to experience the technical side of the theatre. And special thank you to my roommate for understanding why I am never home. JODIE BARRUS & SONI BARRUS (Directors) Over the past forty-five years, Jodie and I have written, performed,and produced numerous shows. While owning our own theater, we divided out our responsibilities and directing generally fell to me. However. three years prior to moving to Cleburne, we worked on multiple directing projects together. Last season we did FIDDLER ON THE ROOF here at Plaza. THE SOUND OF MUSIC is a "time-honored" classic. For us, bringing this production to the Plaza stage has been a pleasure and a delight.